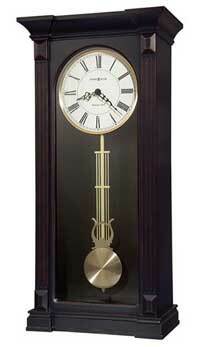 The Howard Miller Braxton 625-628 Wall Clock is finished in Black Coffee on select hardwoods and veneers. 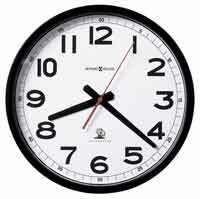 The white dial features black Arabic numerals and minute track. The polished silver-tone bezel matches the brushed silver finished pendulum bob. The wooden pendulum stick matches the color of the case. 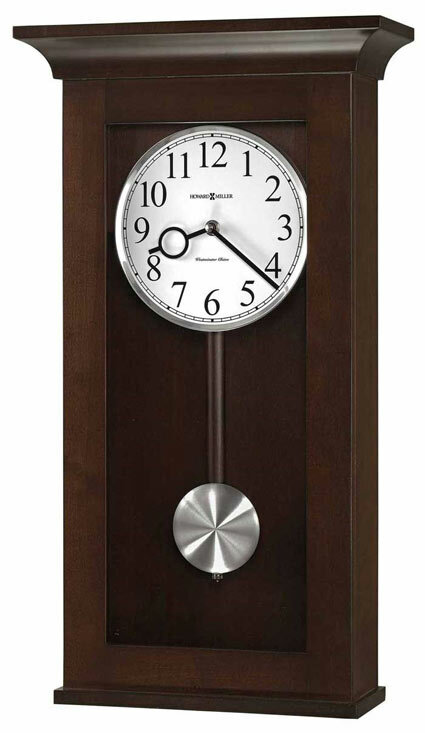 The single chime quartz movement plays the Westminster chime on the hour and gives an hour count. 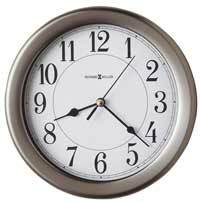 This clock has a automatic nighttime shut-off. Requires four "AA" batteries (not included). 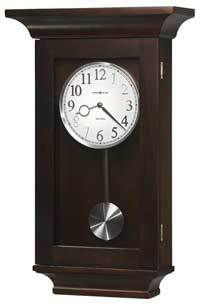 Clocks for sale at The Clock Depot including the 625-628 at discount prices.